More than 70,000 attendees celebrated the “hot rod” custom car culture and visited 2,400 booths within 1 million square feet of exhibit space at last week’s Specialty Equipment Market Association show to learn about the latest tools and products that can help them augment the performance and appearance of their cars and trucks. 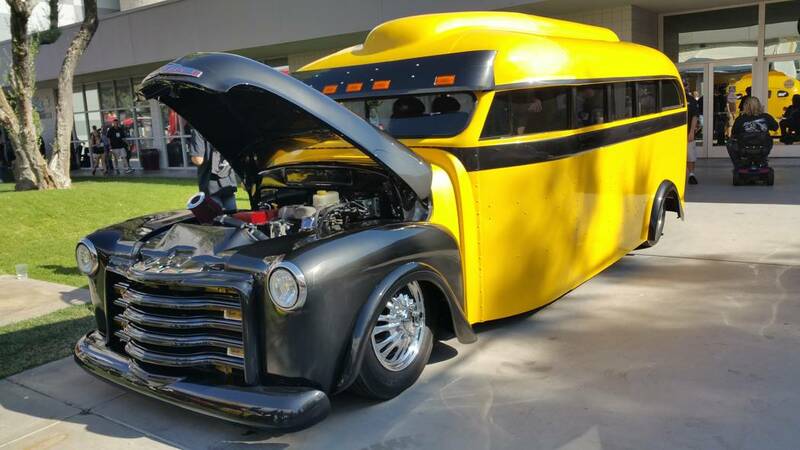 Stan Hanel A chopped school bus was on display in the outer courtyard of the Las Vegas Convention Center during the SEMA trade show. Stan Hanel A-Steam by Jimmy Built uses two propane gas burners to heat water inside a boiler that drives a two-cylinder steam engine to propel this custom car. 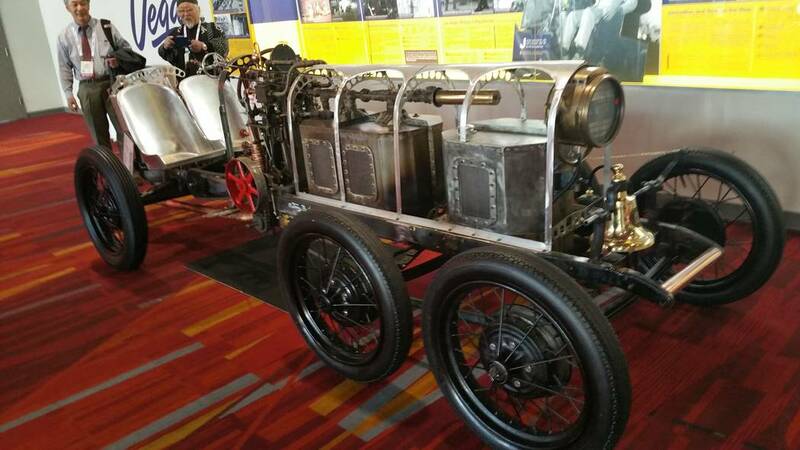 “An old car can take you to new places,” said John Waraniak, SEMA vice president of vehicle technologies. He quoted musician Neil Young, who had exhibited his “LincVolt” custom car, an enhanced 1959 Lincoln Continental, during previous SEMA shows. Waraniak spent the early part of his career as an engineer with Boeing and GM, where he developed new technologies for avionics and automotive electronics. He sees today’s advanced driver assistance systems, or ADAS, and connected vehicle technologies as gateways to a future automotive world that could encompass artificial intelligence and even autonomous vehicles that can drive themselves. To help members of the SEMA community learn more about new technologies and how to harness them for custom car projects, the organization has partnered with Ducker Worldwide and the Center for Automotive Research to create a report entitled Advanced Vehicle Technology Opportunities. The downloadable report package includes practical pathways for custom vehicle integration. ADAS electronics include camera vision systems that augment blind-spot monitoring and parking assistance, ubiquitous sensors that can provide lane departure warnings and transmit tire pressure data wirelessly from inside the tire stem, LED lighting, motorized actuators for electric power steering, adjustable suspension, emergency brake systems and even voice recognition capabilities that can be applied to create innovative car apps. The Advanced Vehicle Technologies Opportunities report values the current ADAS automotive aftermarket industry during 2017 at $1 billion, with a compound annual growth rate estimated at 9 percent per year through 2021, when the market is projected to reach $1.5 billion in sales revenue. The report also presents practical examples for custom car implementation by pointing to SEMA community member companies that can supply aftermarket ADAS devices and software applications. Brandmotion is a SEMA member company that provides exterior and interior electronic products for customizing cars and trucks, including LED lighting, audio/video, safety equipment and communication telematics. Hyndsight Vision Systems features a wireless camera product line that can be installed on vehicle exteriors, as well as on trailers and towing parts, to augment the driver’s ability to monitor multiple blind spots through a video display that integrates four camera views at the same time. Rostra Accessories is a components supplier to the automobile manufacturing industry. However, the SEMA member company also provides cruise control, backup camera systems, parking assist sensors and transmission accessories directly to consumers through the automotive aftermarket. Voyomotive manufactures engine components, as well as telematics, navigation and security products. Gentex produces “smart high beam” headlights that can sense and adjust to oncoming traffic during the night, as well as integrate with advanced vision recognition systems. Additional automotive electronics and electrical system design tips are available from the SEMA Garage program website at www.semagarage.com.